The ECOC 2017 exhibition has already surpassed the 2016 exhibition in size among strong industry confidence, and ECOC 2017 in Gothenburg promises to be a success. Submit your paper and register for the conference today! The Nordic countries are happy to welcome ECOC back to Scandinavia, a high-tech innovation hub that successfully merges communications and optical technologies within a creative business and scientific context. 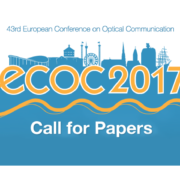 We encourage you to contribute with a paper to ECOC 2017 and participate in the conference. As you probably know, ECOC is one of the premier international conferences in the field, with an exciting and comprehensive coverage of cutting-edge basic and applied research. Each year, ECOC offers unique insights into leading developments in optical communications and unparalleled networking with over 5 000 of your colleagues from all over the world. ECOC features a distinguished list of internationally recognised invited and tutorial speakers together with your own contributed peer-reviewed research in a high-quality technical program promoting the exchange of ideas and interaction with your colleagues. The ECOC technical program is divided into 8 areas that cover the full width of component, system and network technologies relating to fiber optic communications. We are also excited about this year’s social program that includes a very special reception, dinner and concert. 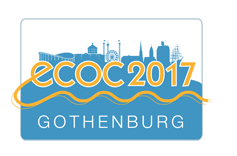 And as usual ECOC is co-located with the ECOC Exhibition – Europe’s largest exhibition in the fibre optic communication industry. The city of Gothenburg is right in the heart of Scandinavia, with a characteristic maritime scenery at the waterfront and the special Nordic light which has inspired artists for centuries.